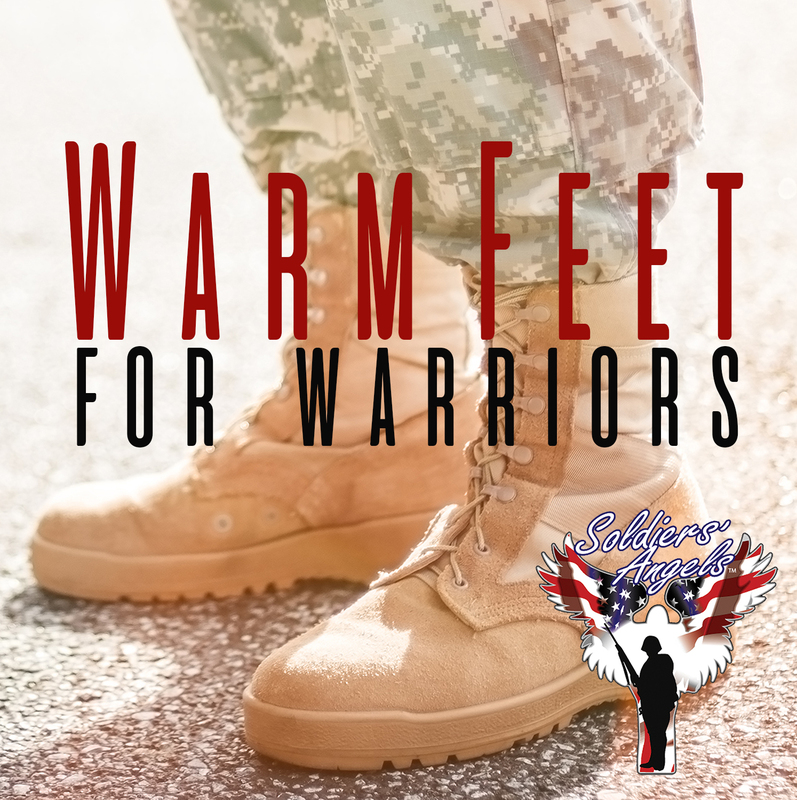 Soldiers' Angels - Warm Feet for Warriors is Back! Warm Feet for Warriors is Back! Last year we launched a new campaign called Warm Feet for Warriors-- collecting new socks for deployed service members and veterans in VA Hospitals. We began with a small goal of collecting 1,000 pairs, and, thanks to all of you, we blew that goal out of the water and collected over 8,500 pairs!! Warm Feet is back in 2018 and we would love to collect at least 8,000 pairs once again. The collection will run from February 15 to April 30. Learn more about how you can participate in Soldiers' Angels Warm Feet for Warriors.